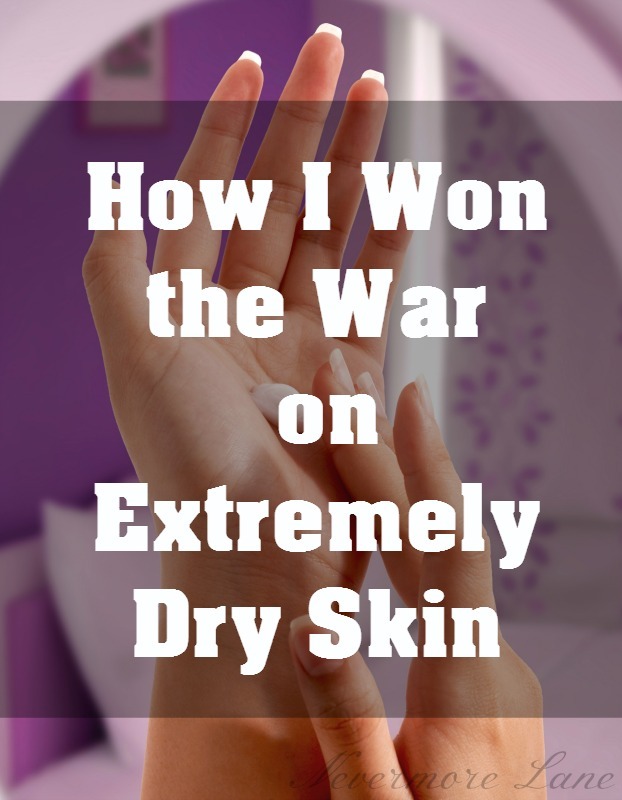 Raise your hand if you suffer from extremely dry skin year round. Okay. Of those people with their hands in the air, wave them around like you just don’t care. Seriously. Do it. Okay. Stop. Hammer time. Okay, okay. Let’s get serious. Those of you who raised your hand the first time and didn’t put them down, I need to know how many of you also have sensitive skin. Right. Me, too. And it’s no cakewalk. I have to be careful of every lotion and potion, including bar soap, shower gels, laundry detergents, fabric softeners and even dish soaps. The good thing is now that I am older, I know what works and what doesn’t. It also helps that a lot of products these days are specially formulated for sensitive skin. The bad thing is, a lot of the sensitive skin products don’t do such a good job of battling the extreme dry skin I suffer from. It is no joke when I tell you I have tried everything under the sun. While I do have a few brand products I consider my ‘go-to’ I am all about finding products that are more ‘all-in-one’ and simple instead of multiple products. I’ve seen commercials for the new lines of shower lotions and sat there in disbelief. It made no sense to me to use a lotion in a shower just so you can rinse it off. It made no sense to me to use a different brand after the shower while still wet so you can towel-dry it off. Nope, none at all. I honestly felt like I would just be wasting my money and still have to put some sort of oil or lotion potion on my skin. When Curél Hydra Therapy Wet Skin Moisturizer landed in my lap, honestly, I didn’t have much hope. But, let me tell you what happened. Day 1 – I took my shower as usual. The minute I stepped out, I reached for my towel and dried off my face. I was about to dry off my body when I remembered I am not supposed to do that. I wasn’t sure how this was going to turn out. First thing I noticed when I put Curél Hydra Therapy Wet Skin Moisturizer in my hand was that there was no smell – thankful for that. I started with my legs and worked my way up. A little seemed like it went a long way. Then, I towel dried as directed. More like towel patted. I was convinced this wasn’t going to work, that I was going to have to put lotion on again later in the day. Happy to report, that was not needed on my body. I did have to put some on my hands and feet but that is likely due to all the abuse my hands take through the day with the contestant touching of things (like animals) and washing my hands. Day 2 – When I woke up this morning, I didn’t feel that tight itchy feeling on my legs that I usually have. When I went to change in to my workout clothes, I saw that my legs were not dry and scaly. I was pretty excited about that. Showered and applied the lotion again before towel drying. Day 3 and beyond – smooth sailing from here on out. Once you do it a couple of times, you realize just how easy it is. It really wasn’t too much different that my other routine, which consisted of putting on lotion or oil after I had towel dried. This one goes on before. And it lasts a heck of a lot longer. There is no funky smell and it doesn’t feel heavy or sticky. Curél recently reached out to 40 bloggers ranging from age 16 to 55. One of the questions was whether they had been in an embarrassing situation because of their dry skin and a whopping 75% said they had. I want to hear all about your battle with dry skin (extreme or not) and what your oil, lotion or other potion routine is. EVERY person who comments will be entered into a contest for a chance to win a $100 Visa gift card!! Disclosure: I was given Curél Hydra Therapy Wet Skin Moisturizer to use in order to facilitate this post as part of the BlogHer network. I am being compensated for my time. Regardless, I only share products with my readers that I firmly believe in, and let me tell you again, this stuff is amazing! I moisturize my hands and elbows after I get out of the shower. I have very dry skin, and it sure gets terrible in the winter months. I use Amlactin and it really helps restore my dry skin. But I want to try the Curel wet moisturizer! I have dry skin and Curel works for me. I have dry skin, especially my hands and legs. Every morning I apply lotion to moisturize and protect my skin. I have had really dry skin this winter. I have been using Aquaphor lotion to help with it. I make sure that I have moisturizer in all the products I use. My hands get VERY dry, to the point that they crack and bleed. I have been using lotion with aloe added but it is not enough. I would love to try this Curel moisturizer! I have dry skin and it gets worse in winter. I apply body oil or heavy cream right after shower to combat it. I mostly only have dry skin on my hands (probably from washing my hands often). I use a thick hand repair cream when I remember. I’d be up for trying this Curel. I suffer from dry skin on my legs and I have tried a ton of lotions and they are not working so I am going to try Curel now it sounds amazing. I suffer from dry skin in the Winter. Especially my elbows and knees. I add a little baby oil to my bath and moisturizer afterwards. I moisturize as soon as I towel off after my shower. I’d really like to try the wet skin moisturizer from Curel. I moisturize twice a day to keep my skin hydrated. My upper arms and hands get dry, so I like to moisturize with oil right out of the shower. My feet and elbows get dry. I would love to try this lotion. My skin is very dry and I moisturize all over daily after showering. I jump around with a lot between using lotions and oils depending how bad the dryness is! My feet are the worse with cracked heels. I try to soak them in warm water and rub vaseline on them. I have extremely dry skin, my hands are the worst. They are rough and dry. and I like to use gloves over night and soak them in aquaphor. I have been having a battle also with extremely dry skin ever since moving back to MT. The hard water here dries out my skin as well as the really dry air. I have yet to find a product that really helps me. I will have to try this Curel in the very near future. I have dry hands and I try to moisturize at night so the cream stays on. I tweeted but I am having trouble posting the tweet link my twitter handle is @myway070. I will be able to provide the tweet link to you or the sponsor in the wild and crazy event that I win this one. Thank you. i usually moisturize right after my shower. my feet are the worst and what helps relieve the dry cracked heels is a pedicure. I’ve used Cetaphil at night on my hands to help combat the issues that arrive during the cold winter months. My wife uses it also on her legs. I really want to give Curel a try, I bet my wife would love it, being able to apply it to wet skin is a plus! I posted a tweet: https://twitter.com/FireRunner2379/status/843219748565467136. I get dry skin on my legs.So I put on lotion everyday. I make sure to moisturize everyday!! I have very dry skin. I use lotion after every shower, and I use coconut oil about once a week. It helps, but it’s still pretty dry. I really need to give this a try. I have terribly dry skin, and this sounds like it could really help me keep it looking and feeling good. I need to get myself some of this stuff. I get extremely dry skin in the winter. It cracks open, and it’s so painful. Haha! I was singing it!! I was! Love that song! Dang that goes WAY back! Anyway yes, I DO have dry skin all year long! I am so glad you found something that works! I will for sure be checking it out! Curel is a great product! It’s so hard to keep your skin from cracking in the wintertime where I live! My friend just started using Curel Hydra Therapy wet skin moisturizer. It has made a huge difference in her dry skin. My skin has been so dry with the cold weather. I have been looking for something to try. I will have to pick up some Curel to try. I will totally have to check the Curel product out! I just went for a pedicure and my esthetician was telling me how dry my feet were and how I had to be careful so as not to crack the skin. I don’t generally have dry hands. However, working in a hospital does dry them out sometimes. I’ll have to check this out. Oh wow. I know natural butters usually work as well such as cocoa, shea etc. I’m raising my hand. I get super dry skin during the cold months. I would love to try this. I am all about moisturizing. I am always applying my favorite moisturizers after the shower and before bed. I need to give this a try. I have dry skin in the winter most of the times. My girls do as well. I’d love to see how this could help us. I’ve heard so many great things about Curel. Sounds like a great way to treat dry skin. I am a nurse who washes her hands at least 50 times a day and in between that I use alcohol rub. I am constantly fighting dry skin on my hands. I need to try out Curel, sounds like it helped you out. I’ve been using Curel since I got here in the U.S. and I put on lotion after every shower all over my body. It has been my routine for years. I try and moisturize in the morning right after my shower. I also use lotion on my hands pretty often. I;m losing the battle with dry skin on my arms and legs. I do lotion up after a bath. I suffer from dry skin all year. My worst area is my heels. I try to apply moisturizer after a bath. I would love to try Curel. I’ve been using a lotion with Moroccan Argan oil and it seems to be doing a pretty good job. I haven’t tried it yet, but now I will. How do I copy my tweet if your page won’t let me copy? You are not copying anything from my page. You are copying the twitter url and pasting it in the comments. You can scroll through and see how others are doing it. Maybe that will help! 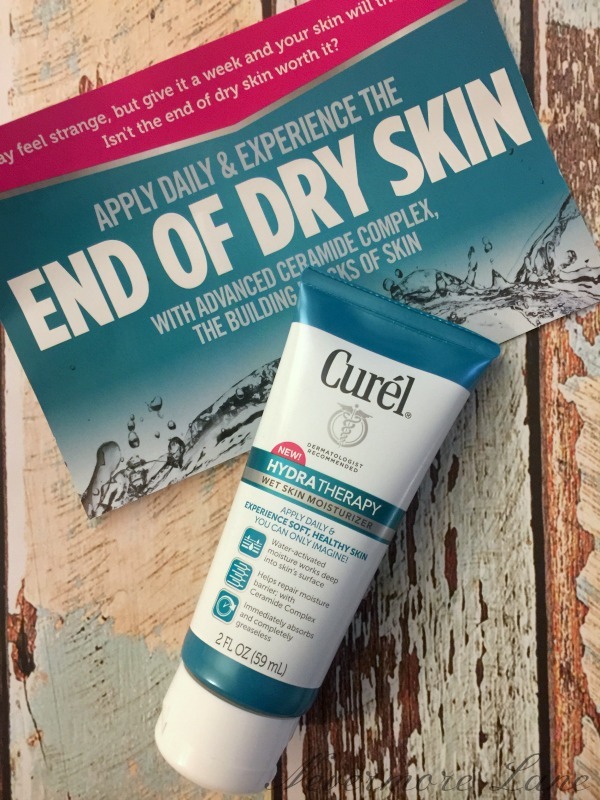 I have some dry areas especially on my elbows and feet, I don’t have any particular lotion at this time the Curél® Hydra Therapy Wet Skin Moisturizer sounds like a great one to try. I stay hydrated, drinking 8 glasses of water per day hydrates my skin from within. I also use exfoliants on both body and face, and I put on (cold pressed) sesame oil straight out the shower with my skin still damp and it truly works wonders for my skin.